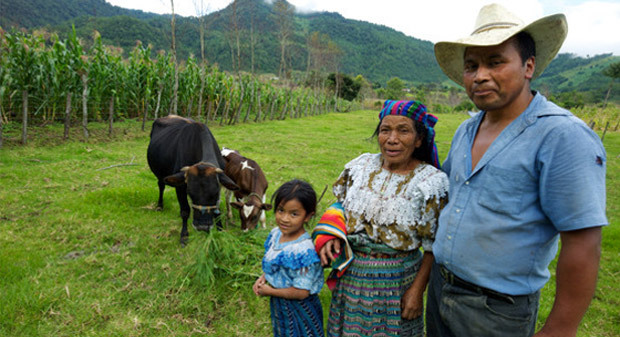 We are very proud to collaborate with the International Fund for Agricultural Development (IFAD) who work with rural people in developing areas enabling them to grow and sell more food, increase their incomes and determine the direction of their own lives. At the time IFAD approached Asset Bank, when clients requested images, the team would literally have to take CDs off shelves and upload images to an ftp site. Using Asset Bank as their image management system has allowed them to instantly share images with colleagues and partners all over the world. This case study explores their solution a bit further. The IFAD Image Bank was the last in a long line of steps that they needed to take to make the transition from an analogue to a digital photo library. They did have an online archive but did not have a way of storing high-resolution images together with their data and thumbnails. When internal and external clients requested images by email the IFAD image management team would literally have to take the CDs off the shelf and upload the images to an ftp site. They also wanted to give freer, instant access to their internal and external graphic designers who were also using CDs. Lastly IFAD also wanted to find a way to easily share images with colleagues and global development partners all over the world. IFAD did a lot of research on the best way to develop an image bank. They reviewed what their partner UN organizations were using and also what the top photo agencies in the industry were working with. They even tried to develop their own image bank at one point. Having reached a conclusion that they needed to use a specialist image library vendor they reviewed the market and ultimately decided that Asset Bank was the image management system that came closest to their needs and at a reasonable price. To keep costs to a minimum they decided to host their Asset Bank on their own server. After a few minor development requests, Asset Bank was installed in late 2010 and they were good to go. 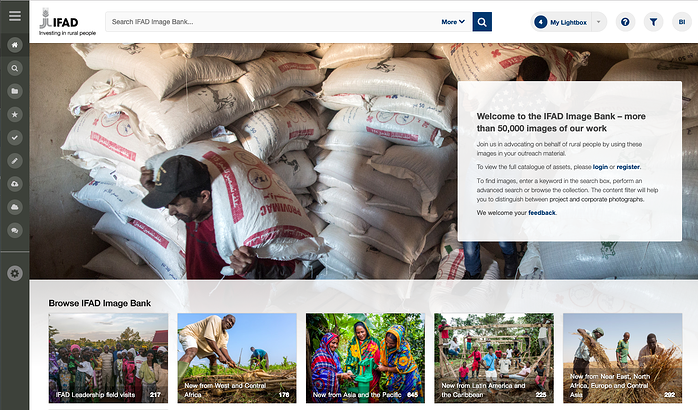 IFAD have been live with their new image bank for over three years and it is working well for them. They added photo essay functionality in April 2011, customized the ecard feature and incorporated the Facebook like feature in 2012, added some enhanced reporting features in 2013 and created a FAQ for user support. Most importantly, they have been able to kiss goodbye to using CDs! "Asset Bank is the best low-cost option on the market...overall it serves the purpose that we need it to serve. It is very intuitive and has a lot of great features that make our work easier."